What could go wrong, indeed? When will the lightning strike again? These are some questions readers are sure to ask as they travel with the protagonist, Henry Katz, along one perilous path after another. Not long after his first "cutting-edge" religious experience, Henry develops some Supreme doubts. Throughout life, these add to his difficulties. Can he believe in a deity that imposes such a cruel initiation on a one-week-old child? 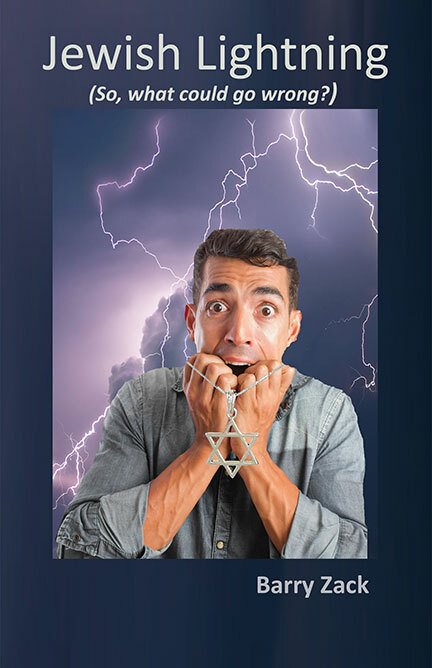 Jewish Lightning answers the question in forceful prose. His penchant for experimentation with chemicals as unstable as he keeps the action coming. Barry Zack tells Henry Katz's story with a masterful combination of wit, irony and affection. The author’s Brooklyn, Jewish background gives the reader a sense of place and indexes the catalogue of neuroses that proliferate in that setting. Although this is a coming-of-age novel, the character never quite comes of age. Just when you think he has risen above his earlier challenges, Henry manages to create new ones, even more hazardous than those of the past.